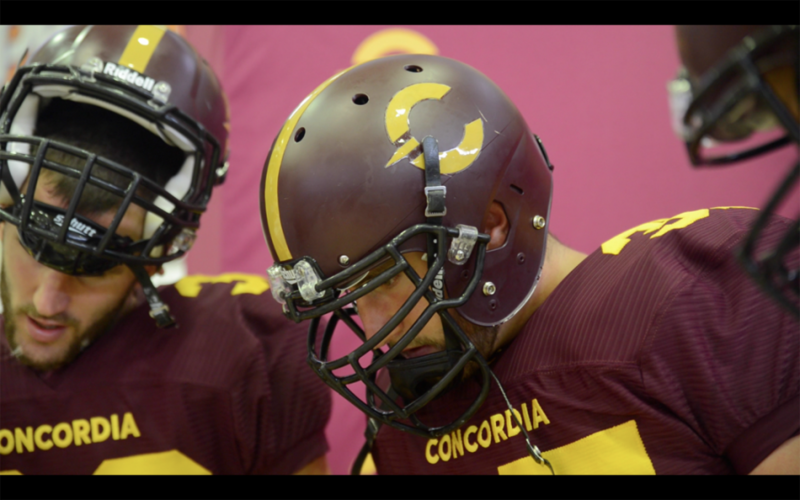 Concordia Stingers safety Mikael Charland booked a restaurant in his native Gatineau for his closest friends and family to watch the Canadian Football League draft this past Tuesday. His roommate and teammate, linebacker Arto Khatchikian, also joined the party, mostly in support of his teammate. Charland expected to go to Winnipeg or Hamilton after, he says, they showed the most interest in him before the draft. Khatchikian didn’t expect to be called at all. The Ottawa Redblacks had called him the day before, but the third-year History major didn’t get his hopes up. By the end of the night, both were among a total of three players from the Concordia Stingers football team who had their names called by teams at the 2016 Canadian Football League draft Tuesday night. Alongside offensive tackle Roman Grozman who was selected in the fourth round by the Calgary Stampeders, both Charland and Khatchikian were selected by the Ottawa Redblacks in the second and seventh round respectively. Charland was the 16th player drafted on Tuesday and it’s a homecoming of sorts for the fourth-year Human Environment student. In addition to being born and raised in Gatineau, he played high school ball in the area was recruited to Concordia from CEGEP Outaouais. On the phone, general manager Marcel Desjardins told Charland he would be part of the special teams unit. “It’s good to see that I got a little insight to see that they wanted me on the special team right away,” said Charland. Later in the draft, it was Roman Grozman’s turn to be called by a CFL team. The Tel-Aviv, Israel native will join the Calgary Stampeders who drafted him with the 33rd overall pick in the fourth round. Unlike Charland and Khatchikian, Grozman watched the CFL draft with his family and friends from home in Toronto. Grozman will join former Stingers such as linebacker Max Caron, kicker Rene Paredes, and a close friend in offensive lineman Quinn Smith. “When [Quinn] was playing here at Concordia we were very tight,” he said. Three rounds later, Khatchikian was drafted with the 54th selection of the night. Ottawa had traded with the Saskatchewan Roughriders in order to get this pick. In Charland’s final season with the Stingers, he recorded three interceptions and 46.5 total tackles, while Khatchikian recorded two sacks and 37.5 total tackles. Grozman at one point was predicted to be as a first round pick before falling to the fourth round.